The Fenian Brotherhood was formed simultaneously in Dublin and New York and existed until just after the American Civil War - one of the reasons it failed was that the war lasted longer than expected. Infiltration of the British Army stationed in Ireland, 55% of which was Irish (with all British officers above non-com). the population led and equipped to take over the government. The Civil War lasted longer than anyone anticipated and informers infiltrated the movement resulting in the arrest and trial of many soldiers, some executed, others held in various prisons such as Dartmoor, and then the leaders transported to Australia. On the prison ship, John Boyle O' Reilly published a newspaper called "The Wild Geese" with poetry, essays, and comments about ship life. O'Reilly escaped with the aid of a New Bedford whaling captain, Henry Hathaway, and became editor of the BOSTON PILOT, an influential New England newspaper. He attended a national convention of the CLAN NA GAEL, the Irish Republican Brotherhood successors of the Fenian Brotherhood, and spoke of the Fenian prisoners in Australia. A secret committee was formed to look into a rescue, with John Devoy as the liaison. The two men with James Reynolds, Town Agent, and owner of a tool and die works in New Haven, who was an active Clan Na Gael man, went to New Bedford and met with Captain Hathaway, of the ship which had rescued O'Reilly. Hathaway said that he had retired from the sea, but introduced them to his son-in-law, Captain Anthony. 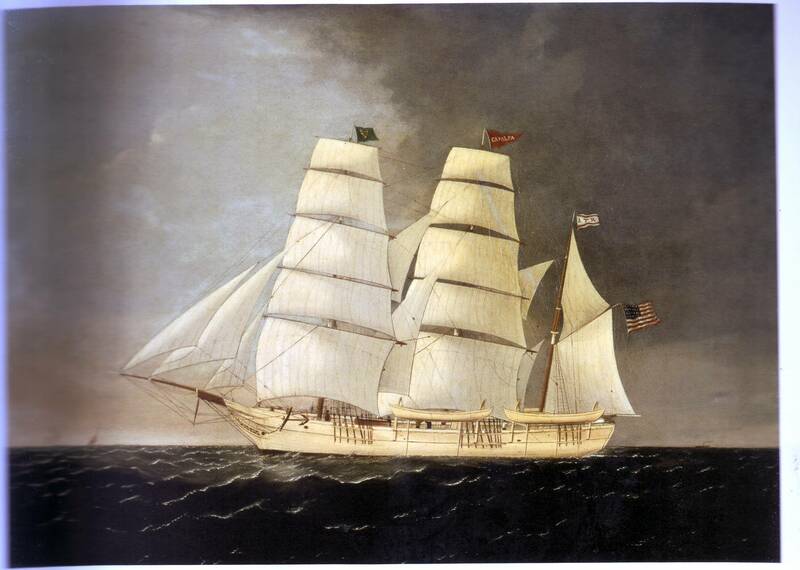 The Whaling Museum has a painting of the meeting between the GEORGETTE -- a British gunboat -- and the Catalpa, where the Georgette hailed with "You have convicts aboard. We demand they be turned back." Captain Anthony replied, "There are none aboard this ship but free men, and that flag makes it so. Fire on the Catalpa and you have declared war on the United States of America. I am under sail for the high seas." A footnote -- the cable between Australia and England passed through Java and it was cut that afternoon which gave Anthony a two week head start. The Irish History Round Table will be working with Mark Day of California and several nationally known video experts in producing a video on the Catalpa as its next project. We invite comments and any further information you may have and any offers of help!